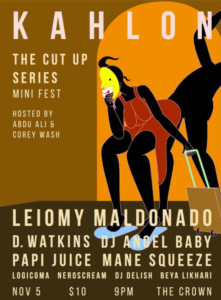 It’s a preview of a musical event happening this Saturday night at the Crown, 1910 N. Charles Street in Baltimore. 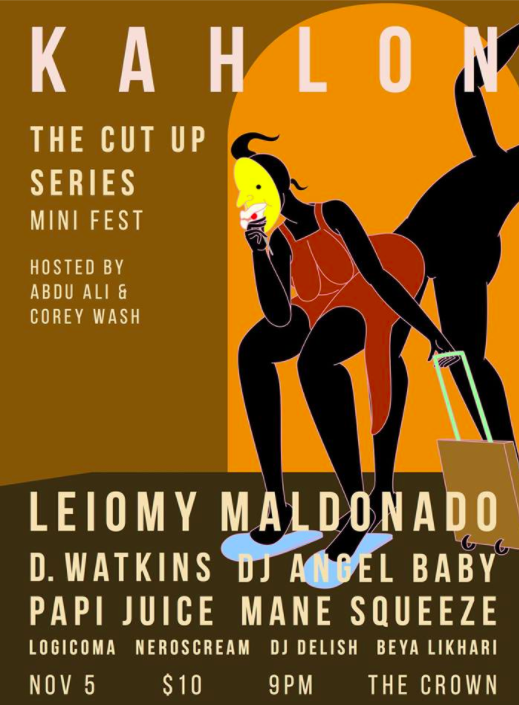 Kahlon: The Cut Up Series is a mini music and arts festival happening in three installments throughout the year. With: Abdu Ali, musician and writer and Creative Director of Kahlon; NeroScream!, local performing artist; and Logicoma, DJ performing at Kahlon.